Choosing Your Baby’s Car Seat – Where To Start! Close: Why Carry When You Can Caboo? Bike Safety: Don’t Forget Your Helmet! The first three months of your baby’s life are known as the fourth trimester of pregnancy. This is an important time to bond with your baby and skin to skin contact and baby wearing are an important part of making your baby feel comfortable and safe in their new surroundings outside of the womb. Your baby has been used to feeling the heat and movement of your body during pregnancy and therefore the place they will feel most safe is wrapped around your body as you move around your home and venture out and about in these first few months. In these precious early months, you need to be able to keep your baby as close to your body as possible and therefore a soft, flexible wrap or sling might be more comfortable for you and your baby. The Izmi wrap is made from soft bamboo fabric which is both stretchy and breathable, offering comfort to you and your baby. A wrap can be tied to fit the contours of your body but is comfortable enough for you to wear all day. You can tie the wrap in position in the morning and then simply lift your baby in and out throughout the day without needing to take it on and off which makes it perfect for around the house. If you prefer the look and feel of a carrier then choosing an unpadded carrier like the Izmi which is designed to mimic the flexibility of a wrap with the ease of a buckled carrier, offers the best of both worlds. The cotton fabric and adaptable design ensures a close fit for your newborn as it moulds snug to their tiny size without excess padding getting in the way. Once your baby is out of the newborn phase and growing fast, you will need to adapt your carrier to fit their changing needs, but you needn’t rush out to buy a new one. Most baby carriers offer different carrying positions to suit the different stages of your baby’s life. 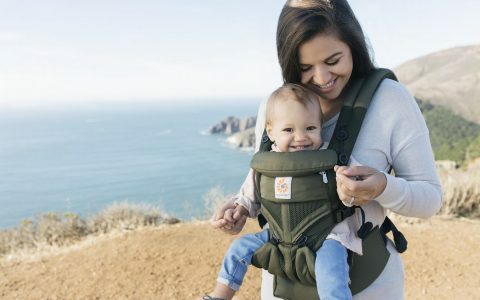 As your baby learns to support and move their head to follow light, sounds and other sensory stimulants you can hold them in a more upright position in the carrier and they will enjoy exploring the world from the comfort and safety of their baby carrier. The Izmi offers four positions so as your baby becomes more active you may prefer to hold them in a hip carry position to the side or on your back as they get heavier. You will still have all the benefits of keeping your baby close to you but carrying on your hip or back will give you better hands-free movement now that your baby is bigger. Cooking for example might prove difficult with your baby on your front when they start to grow but if they are on your back then you can safely cook and baby wear for months to come. As your baby becomes more active you will want the flexibility of them being able to walk when they want to but be carried when they get tired. A large padded or framed toddler carrier can be quite bulky to carry with you all the time, particularly if you are out for a walk in the countryside or on holiday etc. but you certainly won’t want the hassle of carrying them in your arms for long periods, and your back won’t thank you for it either! Instead, a soft cotton unpadded alternative like the Izmi Toddler Carrier offers a fully supportive, wrap like design that distributes your toddlers’ weight evenly across your back or front, whilst folding easily in to your bag or pocket so you can take it anywhere and only wear it when you need to. Rather than reverting to using a buggy for your toddler which limits your options for where you can go and what you can do, you can continue to enjoy the benefits of baby wearing for you and your child for many years to come. If you choose the right carrier in an ergonomic design that offers comfort as your child gets bigger then there is no reason why you can’t still be wearing your child when they are four years old. The world is your oyster! 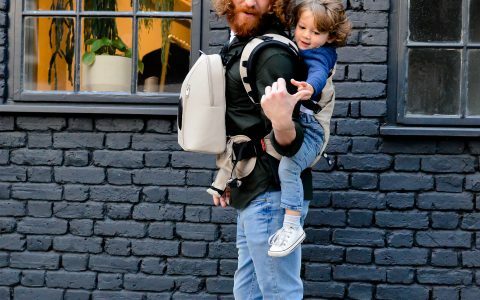 IZMI IS THE BRAINCHILD OF EMILY WILLIAMSON, AN EXPERIENCED CARRYING CONSULTANT, THE DESIGNER OF THE IZMI BABY CARRIER RANGE, AND THE FOUNDER OF THE SOUTH LONDON SLING LIBRARY. SHE BELIEVES THAT EVERY FAMILY AND INDIVIDUAL IS UNIQUE AND IS PASSIONATE ABOUT HELPING PARENTS TO CARRY THEIR CHILDREN SAFELY, COMFORTABLY AND IN A WAY THAT SUITS THEIR FAMILY’S NEEDS. 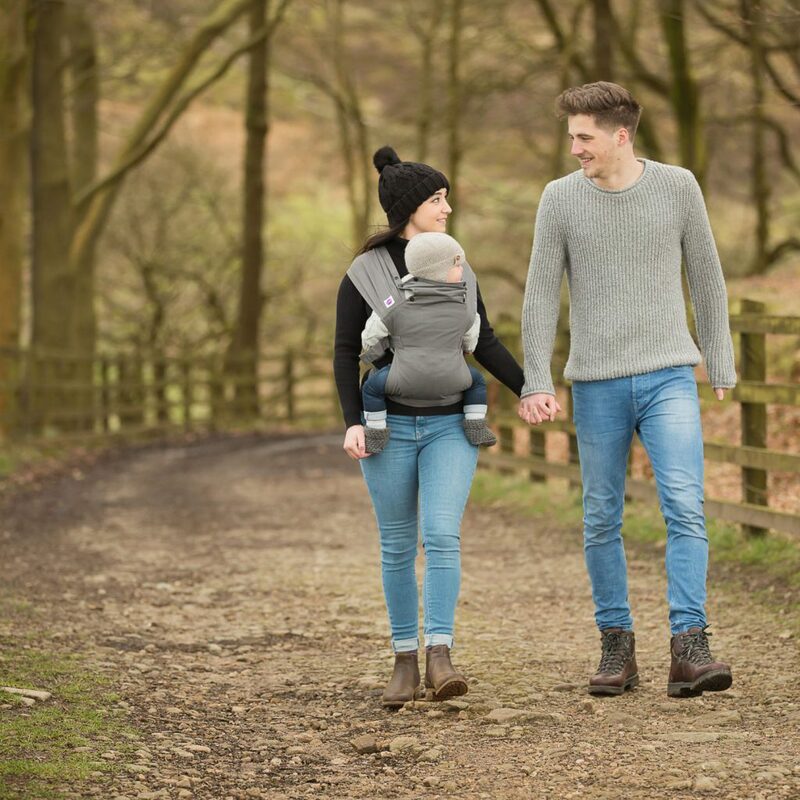 EMILY CONTINUES TO PROVIDE EXPERT ADVICE AND TRAINING ON ALL ASPECTS OF CARRYING, SLINGS AND BABY CARRIERS TO PARENTS AND TO THE NURSERY INDUSTRY. BEFORE HER ENTHUSIASM AS A BABYWEARING ADVOCATE TURNED INTO A FULL TIME JOB, EMILY WORKED IN CHILD PSYCHOLOGY RESEARCH, AND STUDIED PHILOSOPHY, PSYCHOLOGY AND CHILD DEVELOPMENT. SHE LIVES IN LONDON WITH HER TWO UNIQUE CHILDREN. How To Get Active While Babywearing With Ergobaby! Uber Kids, 75, Ash Road South, Wrexham Industrial Estate, Wrexham, LL13 9UG, United Kingdom. Copyright © 2017 Uber Kids. All rights reserved.